I get a sense of optimism and revelation I have not experienced in a while. I will talk about his latest track in a moment but, right now, I wanted to address a few things about his music. I want to address emotional subjects in music and pouring your heart out on the page. I will also look back at Folk and Acoustic music and what beauty can be unearthed from the form. I will chat about consistent songwriting and artists who manage to provide warm spirit; a look at overhauling the mainstream and what Rawle can achieve in the future. Let us look at the first point and discuss emotion and how that is brought into songwriting. 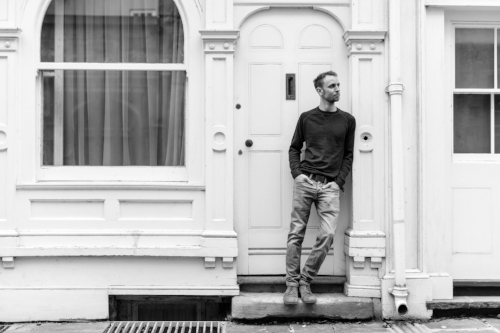 Dan Rawle is known for a slightly sunnier and upbeat aspect to his songs but now, on Matter of Opinion, there is something a little more inward-looking and emotive at the heart. If we look around music; there are plenty of artists who put their soul onto the page but, in many cases, it comes across as dishonest and forced. I am a bit miffed why some would go to lengths to record songs with such urgency and emotions without showing any authenticity and depth. Rawle is a man who has experienced the same as all of us – lost love and disappointment; wasted days and the need to achieve dreams – but he manages to distinguish himself by showing that honesty and realness. It can be quite hard listening to songs that are open and hard-hitting. Whilst Matter of Opinion looks at experiencing loss and having that spirit and love remaining – trying to keep someone’s memory alive – it has plenty of range and colour that will keep you invested. I hear songwriters who talk about lost relatives or broken love but their words are quite trite and clichéd. With Dan Rawle, he mixes intelligent and thoughtful words with beautiful composition notes and brilliant production. One of the reasons I have been featuring more female artists in my review section is a need to step away from a sense of weariness and sameness. I find a lot of male artists are replicating what is out there or they are producing music that does not linger in the mind. I feel we have reached a point where female artists have stepped out in front – and not been given the recognition they deserve – and are providing music that is more interesting. The more compelling male artists of the mainstream are away from Pop and playing in genres like Jazz, R&B and Hip-Hop. There are some unique acts in Pop and Rock but most of them are outside this realm. Female artists tend to have a more adventurous style of music and wide-ranging voice; a passion and soul the men do not. This might sound like a shot at Dan Rawle but it is the opposite: he is one of those songwriters that show there is grace and plenty of style to be found in male artists. Although the mainstream needs to a shake – I will come to this a bit later – Rawle is among the more interesting and personality-rich that is capable of keeping you hooked. I feel a lot of male solo artists suffer is because they are too concerned with heartache and being as explicit as they can. Maybe I have generalised things but I see a definite split that is spilling into the mainstream. Newer artists fare better and they are producing sounds that have a lot more lyrical variation and nuance. 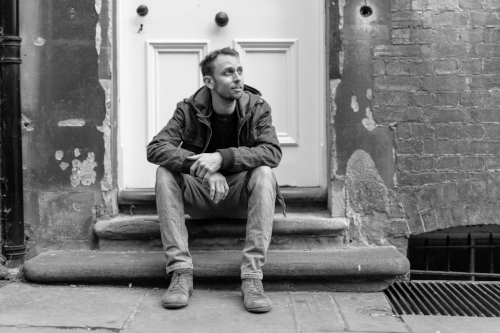 Dan Rawle is a songwriter inspired by the likes of The Beatles and Passenger but does not step into commercial territory. I have a very sceptical and wary sense of adventure when it comes to mainstream Pop/Folk and how credible the music is. Rawle is much more credible and strong than most artists out there because he can write about his life and experiences without causing depression and seeming false. I will come back to that subject a bit in the conclusion but will move on to Folk and Acoustic music. Yesterday, when assessing IAKO, I looked at an artist in the same genre as Dan Rawle. His sound was closer in tone and flavour to James Blake – it has Electronic elements and was more energised and choral. Now, with Rawle, we have someone who takes from the roots of Folk. His music mixes in Pop sunniness but there is that acoustic guitar-based sound that reminds one of older artists. I have been investing a lot more time in Folk because of a need for music that seems to understand me and what I am going through. That sounds strange but I am at a point where I need to bond with emotional sounds and bare-naked songs; a chance to feel a little vulnerable but bond with sounds that I can relate to. I have been listening to a lot of Joni Mitchell’s Blue and wondering why we have seen very few similar albums since 1971. A lot of modern artists write about the ups and downs of life but I have heard nothing as striking as Blue. If modern-day artists like This Is the Kit and Laura Marling have the same vocal elements as Mitchell; their music is different in terms of its poetry and potency. Although Dan Rawle writes about different areas of life (to Mitchell); I get the sense he included her in his rotation and takes guidance from her. I have been yearning for a modern-day Blue that exposes scars and is as stunning and revelatory as that record. Whilst Rawle might not have gone through the same experienced as Joni Mitchell did in the late-1960s/early-1970s; I feel he has encountered hard times and broken love that would lend itself to Mitchell-esque music. I feel he has the potential to be a fine a lyricist and wants to connect with the listener in a profound way. His music is exceptional and memorable and will stand the test of time. What I am seeing with modern music is a proffering of genres like Pop and not a lot of attention paid to Folk artists. I wonder whether we still look for artists that have endless energy and can make us dance; those who can bring fizz and slam. Maybe the days of Folk’s dominance has passed but I wonder why have such a restricted view when it comes to the genre. Maybe tastes are changing or the average listener wants music that moves the body or they do not have to think too heavily about. It is a shame there is a lack of respect for various styles of music but, with artists like Dan Rawle splicing in Pop tones, there is a chance Folk and Acoustic sounds can make a bigger impact in the mainstream. Rawle is someone who writes about what he is going through and has that vocal prowess. I feel a lot of modern artists lack any real power and prowess when it comes to the voice. Rawle’s vocals bring the music to life and show so much wonder and brilliance. You get soul and passion together with tenderness and emotion. It is a complicated blend that pricks the ears and gets the heart involved. Couple this with lyrics that are in turns touching and original and you have an artist that stands away from easy labelling and prediction. Matter of Opinion deals with some tough and sad avenues but it is not delivered in a manner that would make you feel cold and overwrought. There is, as I said, always a lightness and sense of the accessible when it comes to Rawle. All of these ingredients mixed together makes for an artist that has the tools for success and longevity. There are other reasons why Dan Rawle can go a long way and make an impact in the scene. Every new release we hear from him seems to improve on the last and show new aspects of his songwriting. It is that consistent that gets to me. It’ll All Come One Day, his E.P. released last year, was met with positive reception and won Rawle a lot of fresh fans. Whilst the core of his music has not shifted and there is that reliable central sound; you get something new and unexpected with Matter of Opinion. A lot of artists tend to make radical shifts between releases and lose what made them special in the first place. Others do well for a couple of albums and fade when it comes to further material. It is good finding an artist who can appeal and hook you to start but then, down the line, that magic can fade. Although Rawle is still pretty new; I hear that consistency that will not disappear anytime soon. He is a solid songwriter who has happened upon a great sound and will not abandon that at all. Rawle has been playing for years and honed his skills. The Oxford-based songwriter has worked the local scene and gained reaction and feedback from the stage. Growing up around artists like The Beatles and tuning his ears to what is happening in modern music; he has stirred all of this together and come up with something that is distinctly him. The reason why his songs are constantly engaging and strong is the passion and determination he has to succeed. Rawle want to take his music to the masses and has found his calling. Many songwriters are trying to be commercial or too afraid to attempt anything new and striking. You get, with Rawle, someone who can keep solid and dependable but add and layer his music. Right now, you get that acoustic bliss coupled with personal lyrics and a pleasing aura. I mentioned Joni Mitchell as a guide, I feel, most songwriters should adhere to. Her music is the template of what Folk music should be and I think it resonates in Rawle’s eyes. Some would say that, if Rawle wanted to get Blue, then that would involve a bit more cloud and rain. The songwriter is known for getting the spirits elevated and bringing us music that shines and glistens. His latest cut has some darker and sadder aspects but still manages to keep its smile and movement. Maybe that is the best thing about Dan Rawle: he is able to give us songs that can connect with everyone but does not have to get too heavy-handed and teary. A lot of musicians I encounter feel pressured by big labels or what they think people want. Because of that, they are caught in two minds between doing what feels real and natural and what the market desires. It is hard for modern musicians but that does not mean you will alienate listeners if you release music that means a lot to you. This is what we get with Dan Rawle. There are a lot of modern songwriters who have talent and can go quite far in the industry. I think Rawle has the promise and variation to do a lot of good in music and make his way to the top. We need to embrace artists that have something real to say and can keep your mind invested. I like modern Pop and Rock bands but there is not enough variation at the top for my liking. Let us move onto a new subject but it is great investigating all the sides to Rawle’s music and what he is all about. I wonder what he will come up with next and whether there will be another E.P. – I will investigate that in the conclusion. I have alluded to what is happening at the very top of music and why we need to change things up a bit. There is a staleness coming through and a lot of the best artists are not receiving their due. One could easily look at Acoustic and Folk and think of Ed Sheeran. He has his fanbase and crowd but, to me, there are too many new songwriters trying to be him. That is understandable if you want to follow his path but I feel there are few merits that come to mind. There are some great Pop/Acoustic artists but there are far too many out there who lack a sense of interest and personality – too eager to follow in Sheeran’s footsteps and get to play big stadiums. That may sound like a shot at Sheeran but I feel we are highlighting and elevating artists who can sell venues out and bring in the streaming figures – rather than those who can genuinely shape music and inspire future generations. The mainstream is, or should, be there to promote the finest artists around. I feel things are getting more and more about appealing to a narrow demographic and emphasising the wrong elements. Rather than encourage the most daring and brave to come through; we have this scene that is quite timid and commercial. Maybe that has always been the way but I’d like to think we can do better and make some real improvements. Dan Rawle is someone I would like to see higher up the ladder and has more substance and appeal than a lot of artists who are turning heads right now. It is difficult deciding which musicians are worthy and those who can make lasting impressions. Look at songs like Matter of Opinion and you have a sound that could easily capture those who love what the mainstream is putting out: those who like their music more credible and original will find much to love and react to it. That is what I mean when I say we need to retune the mainstream: artists being given the biggest props are not really remaining in the memory and doing anything spectacular. Perhaps I am sounding bitter and not really given people a chance. It is a strange time for music and I believe we still need to make some changes and push things forward. I know Dan Rawle can remain for many years and it will be good to see what direction he takes. There is a great support behind him and he has captured something great in his music. You get an artist who has grown up around some terrific music and assimilated that into what he does. I know he has played hard and put his music out to the locals. He has gone further afield and is determined to get to as much of the nation as he can. All of this experience and exposure will elevate his standing and get his music to more ears. He is working hard on social media and perhaps there are other avenues that could be explored. I am not sure if there is an official Twitter account but I know there are a lot of potential contacts and fans there. It would be a great way to get to radio stations quickly and have your tunes spun by the very biggest influencers out there. By the same token; maybe a more regular video series or a look into his songwriting process would push the music into new directions. I am not sure whether Matter of Opinion will get an official video but I feel that is a good way of teasing in new people and showing a visual side to his music. Rawle has the promise and songwriting talent to go as far as he needs and is building his foundations as we speak. There are enough great songwriters out there but I think the more commercial – those who appeal to a teenage demographic – are getting undue prominence. Let us break this mould and look at musicians who are able to deliver solid gold and more interesting music. Whilst the weather is a little mixed and today will not be an overly-sunny one; I am listening to music and looking for an escape. The opening notes of Matter of Opinion are gentle and soothing. If you did not see the single’s cover art – it shows a young Rawle on the shoulders of, what looks like his dad (I could not find a good-sized image to include here – then you might think the track had romantic and love-based origins. I guess the song can be taken that way but it seems, as the lyrics unfold, someone special has been lost and memories have been treasured. Our man walks along and is incorporating aspects of the departed in what he does. I am cheating a bit because I have interviewed Dan Rawle and know the song is about his dad who he lost to cancer when he was five – that was twenty-five years ago. He did not want to be too soppy about the subject but wanted to write a song that paid tribute to the man and how much he means. Today is an especially emotional day as it is Father’s Day and he will be thinking about his dad. Rawle was young when his dad died but he would have learnt a lot from him and has him in his blood. Those lessons he taught and the interaction they had was special and pure. The fact he is not around anymore does not matter: his dad is with him everywhere and his legacy remains strong. The song’s chorus/title relates to the opinion as to whether he is gone or not. His dad is not physically with us but that does not mean to say he has been forgotten. The hero remembers what he has been taught and is the embodiment of his dad. Because of the emotion coming through in the song; I was expecting something quite depressed and closed-off. Instead, we have a song that lets the listener in and casts images of Rawle’s dad. Maybe an early strings section might have heightened the mood and given the song extra emotion and potency – perhaps some piano would have also helped. I feel Rawle would have considered this but wanted to keep things quite sparse and basic. Rather than crowd the song and take away from the vocal; Matter of Opinion is more of a sermon and conversation between Dan Rawle and his dad. You do not want too many elements in there that can distract the mind from the core and root of the song. Rawle’s voice remains solid and unbroken throughout – which is a hard feat – and you get a lot of dignity and respect coming out. Those stings do come in but, when they do, never intrude or come in too hard. What we get is a brilliant combination of that vocal and some delicate, stirring string. I was involved in the song from beginning to end and picturing scenes of Rawle and his father. I am not sure whether there will be more songs from Rawle concerning his dad but I feel his memory and impact goes into everything he does. Rawle believes his dad is still here and everywhere around him. So long as he keeps his memory alive and thinks about him; can we ever say someone has truly left us?! It is an impactful song and one that means a lot to the hero. Matter of Opinion will get people moved and make them think about loved ones they have lost. It would be easy to be overly-saccharine or teary but that is never the case here. Rawle always keeps his nerve and does not sonically weep. He has dealt with the loss and is not looking for sympathy from the listener. What we are hearing is a loving tribute to a great father and someone who has made a big impression in Rawle’s life – even though he has been gone for a long time. Matter of Opinion is a fantastic song that will take a few listeners to sink in. It is a song that has that emotional weight and quite difficult to absorb the first time around. You might need a few swings around but, when you give it time and more attention; all of the strands and aspects come together and sink in the head. It is a great offering from Dan Rawle and proof he is a songwriter that deserves more acclaim and opportunity. The more material he puts out, the more ears will come his way. I know he will travel far in the music industry and it cannot be too long before he is playing some rather prominent festivals. Matter of Opinion is a song that can resonate with the masses but has that credibility and sense of depth that seems to be missing from a lot of modern music. Let us hope radio stations and labels get behind Daw Rawle and get behind his music.